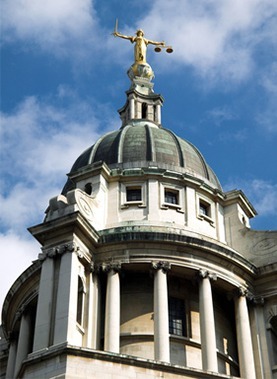 Bloomsbury Law provides expert advice in the criminal defence field. Our bilingual team will work with you and take you through every step of your criminal defence issue. We have a highly dedicated team of specialist criminal lawyers who can provide a seamless service through the Criminal Justice System representing you from the police station through to the magistrates court and the Crown Court and, if necessary, the Court of Appeal. Call us on 0207 998 7777 for a free initial consultation. We understand that when accused of a crime, it is a difficult and stressful time for any individual, and their family, as a lot of criminal offences warrant prison sentences or hefty fines. However, we are here to make the situation easier by providing you expert advice on your situation. Our specialist criminal defence solicitors understand that every individual has different circumstances and we will work with you to ensure you get the best possible outcome. Our private defence solicitors will provide you with the best advice and instruct the best barristers to represent you at court hearings. All solicitors in our crime department are police station representatives, which means we are able represent clients from the outset of a criminal investigation. This is usually when a case is at its most vulnerable and when mistakes or errors of judgement could be made which could result in unfavourable outcomes for those under investigation. If you require a criminal defence solicitor, you should seek legal advice as soon as possible. We appreciate that this may be a very difficult and stressful time and we can assure you that we will make this process run as smooth as possible. At Bloomsbury Law, we understand that no case is the same. This is why we work on a bespoke level to provide you with the best service possible. If you are seeking legal advice, call one of our specialists, we will listen to your situation, answer any enquiries that you may have, and advise you accordingly once we are instructed. Recent changes to Legal Aid have meant that funding is now very limited for criminal cases, we do not feel that it is possible to represent clients to the standard that we would think is necessary and therefore, we do not offer Legal Aid.